HAMPSHIRE, UNITED KINGDOM--(Marketwired - October 10, 2016) - New data from Juniper Research has found that gross wagers from VR (Virtual Reality) gambling will grow from just over $58.5 million this year, to just under $520 million by 2021, representing an increase of 800%. 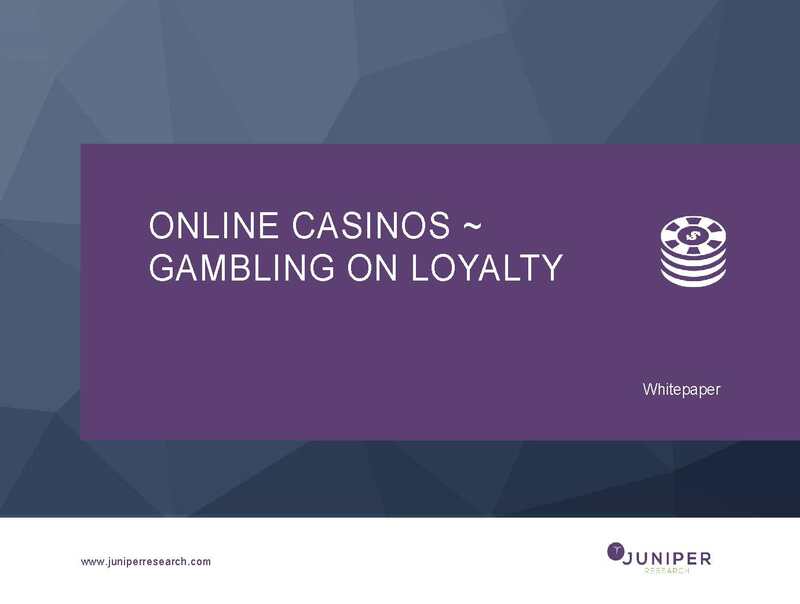 Juniper's latest research, Mobile & Online Gambling: Casinos, Lotteries, Betting & VR 2016-2021, found that VR gambling deployments over the next five years will be concentrated in the casino space, which will potentially offer immersive, real-world VR locations. However, the research cautioned that the high cost of VR devices would inhibit the extent of user adoption, with the addressable base in the short and medium term largely limited to early adopters. Nevertheless, research author Lauren Foye argued that the initial user base would primarily comprise of smartphone VR players, alongside users of top-end PCs seeking the highest fidelity experience. According to Foye, "These will be coupled with a niche clientele, often high-rollers, thereby resulting in comparatively large average wager amongst these early adopters." The growth in casino VR follows the trend for the casino sector as a whole to lead the mobile and online gambling marketplace in terms of wagers, with this sector accounting for over 40% of total gross gambling wagers by 2021. Exchange betting (effectively the placing of bets against another gambler, rather than a bookmaker), will increasingly account for a greater proportion of the mobile & online gambling industry in terms of wagers made, with West Europe being by far the dominant contributor. Whilst the lottery industry is still seeing an impact from the effective banning of online operations in China, Juniper believes that this market will see recovery from 2016 onwards, as we anticipate a lifting of the ban as a result of new regulation. 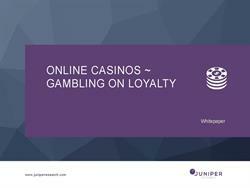 The whitepaper, Online Casinos ~ Gambling on Loyalty, is available to download from the Juniper website together with further details of the new research.